The bridge will cross a canal in the center of Amsterdam, the Oudezijds Achterburgwal. This summer will see the performance of structural tests on the completed span as well as tasks including the finalisation of the design of sensors. By September, the printing of the bridge will be completed including 'swirls' at the ends. It will then be unveiled, possibly during Dutch Design Week in October this year. 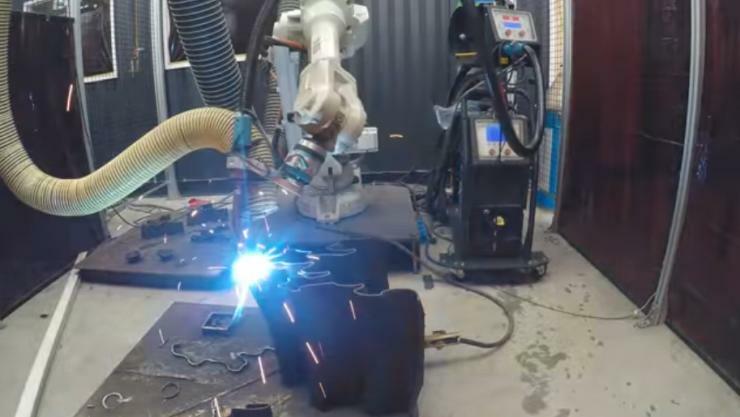 MX3D has equipped Industrial robots with purpose-built tools and has developed the software to control them. 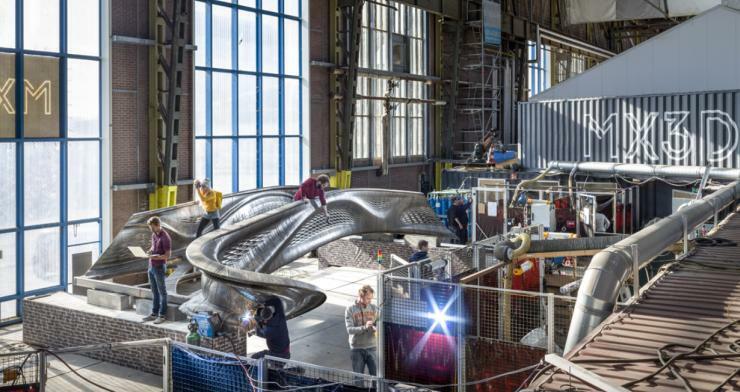 "The goal of the MX3D Bridge project is to showcase the potential applications of our multi-axis 3D printing technology," said the company. The bridge's team also includes Joris Laarman Lab (design), Arup (lead structural engineer), ArcelorMittal (metallurgical input), Autodesk (input on digital production tools), Heijmans (construction), Lenovo (computational hardware support), ABB (robotics) Air Liquide & Oerlikon (welding) Plymovent (systems to keep the workshop air clean), AMS and TU Delft (research). The city of Amsterdam is the first customer for the collaborative bridge-building team.